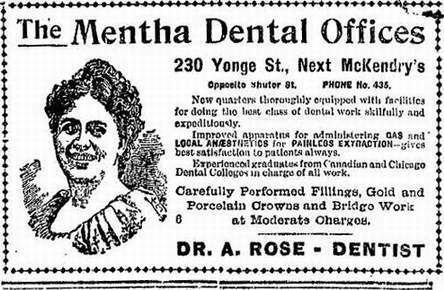 This dental nostalgia ad ran in the Star throughout most of 1899. I hope you can still read it! Dentistry conversation and wanted to pass it on. Enjoy! Please share this with friends and use our bookmark button. We're not sure what happened to Dr. Risk. As a dental assistant, you will laugh--or at least I did! 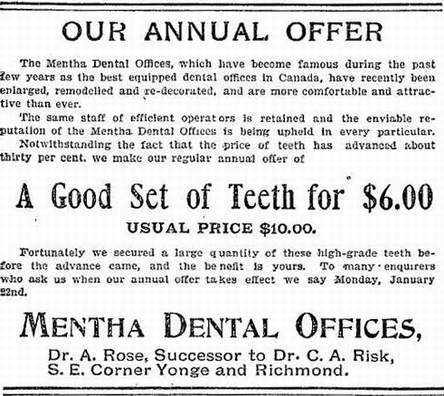 Actually, that was a lot of money back then.